Robin Boyd, Australia’s most well-known writer and critic of architecture, had a very strong opinion when it came to Australian suburbia. He was arguably better known for his Architectural writing rather than his design ability, and this was established very early in his career. Nicknamed “Razor Blades” for his ability to strike without wounding, his writing could often be offensive, but was always delivered tongue-in-cheek. For example, in 1941 when he was just 22, he wrote in Victorian Architecture Student Society newspaper “Smudges” a hilarious piece about an apartment block named Castle Towers, which got him into quite a bit of trouble with the architect. “It is as though a giant garbage tin had been shaken over Melbourne for about a decade, and then when it seemed as though the contents had all come out, a particularly fruity, sticky hunk, that was jammed in the bottom had suddenly become dislodged and fell into the middle of one of the most snobbish retreats in the city.” While the piece is highly offensive and you would hope he would never review you own work, you cannot help but smile at his cheeky quips. 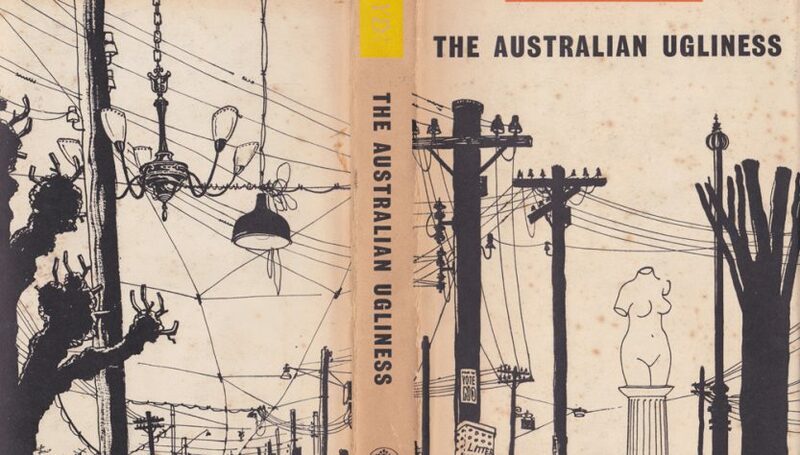 His bestselling book, The Australian Ugliness (1960), depicts his suspicion when it came to Australian visual culture and ornamentation, but also has an optimistic undertone so to not be a completely cynical worldview of Australian architecture. The Australian Ugliness may have caused some controversy resulting in Boyd being called unpatriotic, but there is no doubt that it opened up a critical dialog on suburbia in Australia. The book was undoubtedly ahead of it’s time and is still relevant 58 years on. In his book, Boyd makes observations on the continuing sprawl of Australian suburbia and its effect on our architecture. Similar to Boyd, I agree that suburbia itself is not the problem, it’s the what is being built in these suburbs that is the problem. In The Australian Ugliness Boyd comments on how many Australians were complacent about their visual environment, and I agree and would add that nearly 60 years on, not a lot has changed. Boyd highlights that there is a difference in being inspired by another’s design, and copying it point blank. This is the essence of some of the points I have previously made: there is no style in our suburbs. You can drive down a street and struggle to pick out any differences in 90% of the houses you see. Boyd valued function over form, and had strong beliefs in minimalism and stripping away excess when it came to design. He saw this to be beneficial in simplifying peoples’ everyday lives. The problems Boyd has highlighted, that we are still continuing to face, are more than just a visual issue, but a spatial issue as well. He saw a need to densify suburbs and we are still in dire need for more medium density within our suburbs. This would allow a more effective use of our suburban space and slow down the rapid sprawl. This would have other positive lead on effects such as an increase in and a more effective public transport and amenity. In summary, Boyd has inspired a more critical thinking dialog between Australian architects. While I agree that simplicity and density are the solutions to many of our suburban problems, the challenge that we are still facing 58 years on, is the persuasion of the general public to accept a more stripped-back, densified living. Adams, P. (2010). 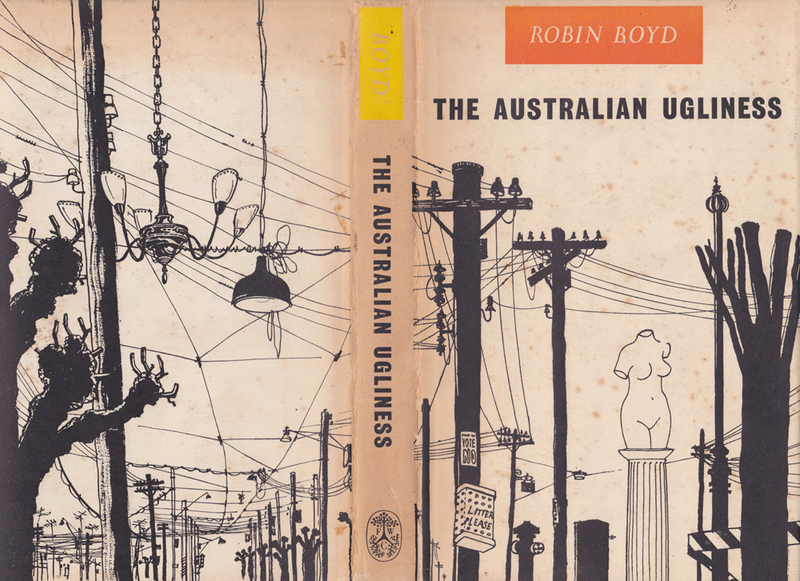 [podcast] Robin Boyd’s The Australian Ugliness 50 years on. Available at: http://www.abc.net.au/radionational/programs/latenightlive/2010-03-31/3111486 [Accessed 2 May 2018]. Boyd, R. (1960). The Australian Ugliness. Melbourne: F. W Cheshire, Melbourne.